A few years ago, this was a hot topic in the US consumer realm, and one close to our hearts: rice. This is an issue all too important to ignore, especially for families that frequently eat rice-based meals, and one that impacts both children and adults. Today’s article will provide the background and some key details a consumer should know. My goal is to assimilate some of the pertinent reports and recommendations from various respected national and international bodies to provide you – parents – the information you need to make the best food decisions for yourself and your family. So what’s the Deal on Arsenic & Rice? Arsenic is a chemical element present in water, soil, air and food through human and natural means. Examples include mining, the use of arsenic based fertilizers in agricultural production, arsenic containing animal feed, volcanic eruptions and the erosion of arsenic-containing rocks. Besides rice, other foods found to contain arsenic include fruits, vegetables and fruit juices. Although arsenic has also been detected in fish, it is in the organic chemical form, which is generally of less concern than the inorganic chemical form, which is considered more toxic. Arsenic is an issue because there has been an association between long-term exposure to high levels of arsenic and an increased incidence rate of skin, heart disease, as well as bladder and lung cancer. According to the Environmental Protection Agency, arsenic has been classified as a human carcinogen. In the United States, food (as opposed to water) tends to be the main source of arsenic exposure, with rice being one of the greatest contributors. This is due to the common agricultural production method of rice used and the nature of rice plants which make them susceptible to taking up more arsenic from the soil, causing arsenic to accumulate in the rice grains. Hence, the issue of arsenic in rice not only touches pure rice consumers, it also affects those who consume rice based products which include many gluten-free products and other commercially processed foods that contain rice or a rice derivative as an ingredient. In the last few years, a consumer watchdog organization in the United States called Consumer Reports tested over 400 rice and non-rice grain samples and found varying but concerning levels of arsenic in the products they tested. The US Food and Drug Administration (FDA) also released a report in September 2013 of their findings from testing over 1300 rice products samples in the United States. Similar findings were found in that the levels of inorganic arsenic are higher per serving of brown rice compared to white rice. The FDA concluded that the levels of inorganic arsenic found in the samples were too low to cause immediate or short-term health damage. However, FDA is in the midst of conducting a risk assessment to better analyze the long-term risks of consumption of rice and rice products containing arsenic. The results of this risk assessment were anticipated to be released in 2014, but have not come out yet. When comparing the same type, brown rice will always have a higher level of inorganic arsenic than white rice (because less of the outer layers of the rice grain are removed during the processing of brown rice). According to the 2014 November Consumer Reports article, brown rice has on average about 80% more arsenic than white rice for a particular type. 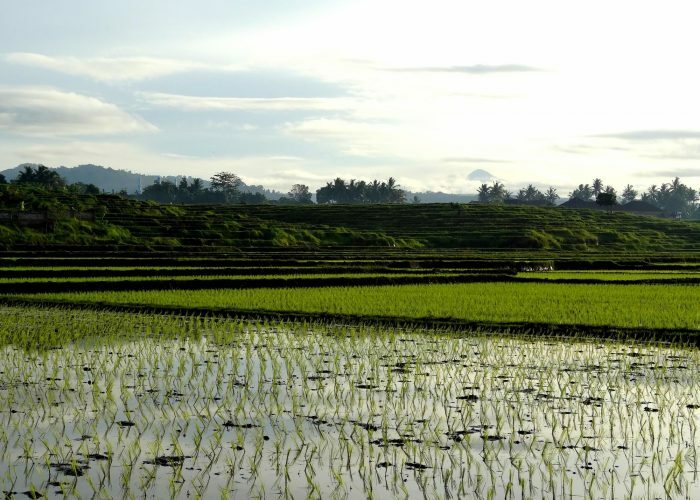 Actual arsenic concentration in rice is influenced by a variety of factors such as: the brands of fertilizer used, seasonal variability, agricultural practices (especially water use practices), and soil concentration. Though the results of the risk assessment are still pending from the United States Food and Drug Administration (FDA), there are many things that you, the consumer, can do now. See my next upcoming post for practical tips that can be implemented relatively easily to protect the health of you and your household. Read the next article on this topic: Arsenic & Rice (Part 2): Action Steps You Can Take Right NOW. Questions & Answers: Arsenic in Rice and Rice Products. US Food and Drug Administration. http://www.fda.gov/food/foodborneillnesscontaminants/metals/ucm319948.htm. Updated October 25, 2017. Accessed February 6, 2018. ← How Can I Open the Tight-Fitting Lid on a Jar?